Using APKPure App to upgrade Flash Video Player, fast, free and save your internet data. 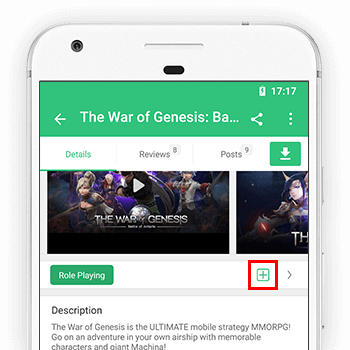 SWF Player for Android is a free Android app that enables users to view content created with the shockwave flash platform (*SWF). It’s an application to lets you play flash video, play flash game etc. from the Internet or stored locally on the device (sd-card). With SWF player you can play swf files is now possible and easy. If you like flash animations, games, apps you will need it! Shockwave Flash SWF file is a file extension for a Shockwave Flash file format created by Macromedia. SWF stands for Small Web Format. Shockwave SWF files can contain video flash player and vector based animations and sound and are designed for efficient delivery over the web. With SWF Player you can play flash file shockwave swf on your phone. Flash Gamepad – Flash Browser for android player support view flash file swf with gamepad let you play flash games more easily.. You can use this application to play flash video, flash game, play online with flash browser and etc. ✥ Video Controller, you can play, pause and seek when watching flash video. ✥ WebPage which contains flash, you can use GamePad and virtual buttons to play. ✥ It's a Flash Browser which can browser webpage on Internet, support online flash play. ✥ You can use this application to play flash video, flash game, play online with flash browser and etc. Support all device mobile phone and tablet. ✥ Gamepad: Turn on/off flash gamepad to configuare optimized and transparency supported now. ✥ Flash Browser, much easy to find the .swf file on web page. SWF Player is an application easy to use for you. You don’t need many too operation, it simple player. If this app brings you a good experience please vote 5 stars (★★★★★) and post some comments. Thank you for use!